A relaxing weekend getaway before the Christmas holiday frenzy started. It was extremely clean. My only request is that a grill be added. We grill year around so that would be a nice addition. Thank you so much for the review, Melinda! However, we wanted to let you know that there actually is a grill located right outside of the property. It is a community grill! 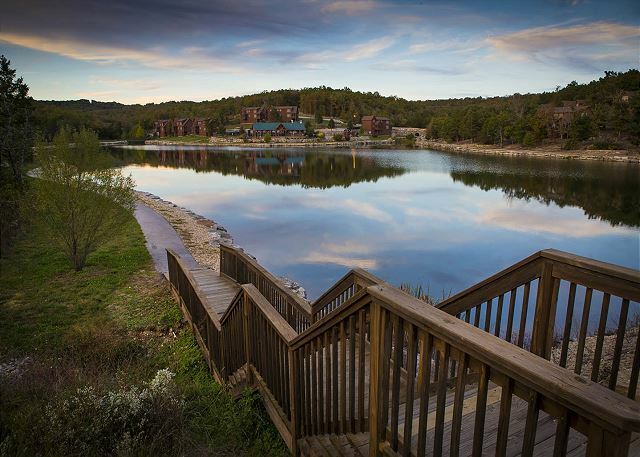 Thank you again for this awesome review, and we hope to have you stay with us again on your next Branson vacation! We had a very nice comfortable stay at this cabin.Very beautiful area. Nice playground. I must say the only draw back was the train a few feet outside our bedroom window, that shook us all out of our beds at 2 in the morning. Our family of 4 really enjoyed our vacation. 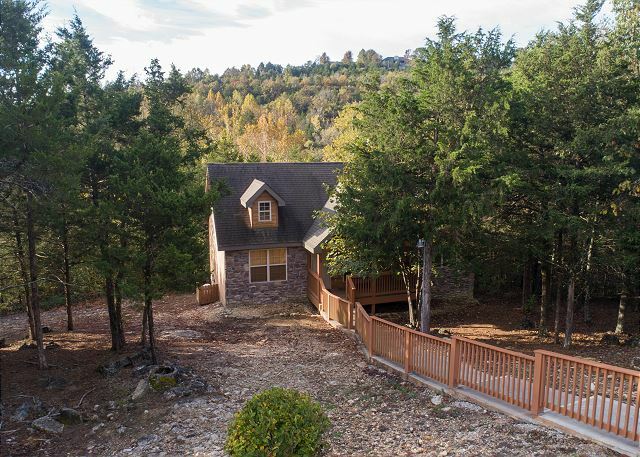 Cozy home is close to Branson and right by Silver Dollar City. Highly recommend! Cabin was very clean and well maintained. 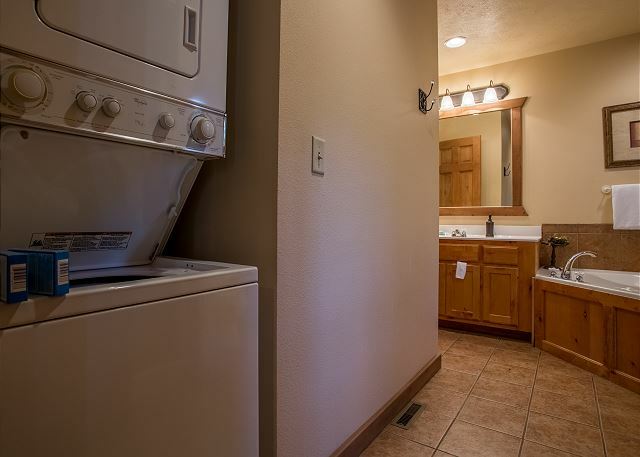 It was nice to have some amenities supplied by rental agency - toilet paper, paper towels, start up soap, shampoo, laundry soap, dish washing soap. A few more pots and pans would have been nice. Cabin was excellent. Very clean and the screened in patio was wonderful. We brought our 2.5 year old and it was kid friendly. He loved the large jetted tub. The resort amenities were wonderful.The only issue we encountered was the carpet at the threshold to the bedroom on the left was loose and sharp tacks were exposed. I stepped on it almost right away. Needs to be tacked down. Thank you! Come back anytime and ask for your special guest discount. Perfect for 2 couples to share. 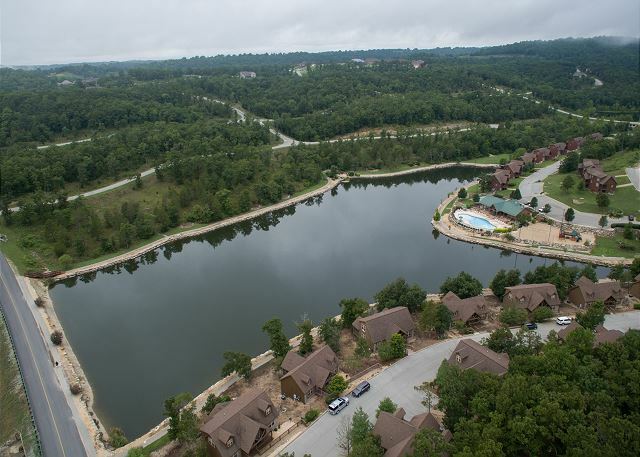 Great location, close to the lake and Branson. The cabin had everything we need for our long weekend stay. The cabin was in a great location! We were about 15-20 minutes from most of the things we did but it was nice to feel like we weren't right in town when we came back each night. It was super quiet and peaceful. The cabin was clean and had everything we needed. I also felt more secure knowing to enter the area, you had to come through a gate that had a security guard working at all times. We would definitely stay here again. We had a wonderful time in the cabin. Plenty of privacy for two couples, and the back porch was my girlfriend's favorite place to watch the sun rise in the nothing with a cup of coffee. However, if you arrive after dark, be prepared for a search....that was my only problem. Area was beautiful. Cabin was very nice and clean. Our family of six had plenty of room and a good time. Second stay in that area and will definitely do it again. 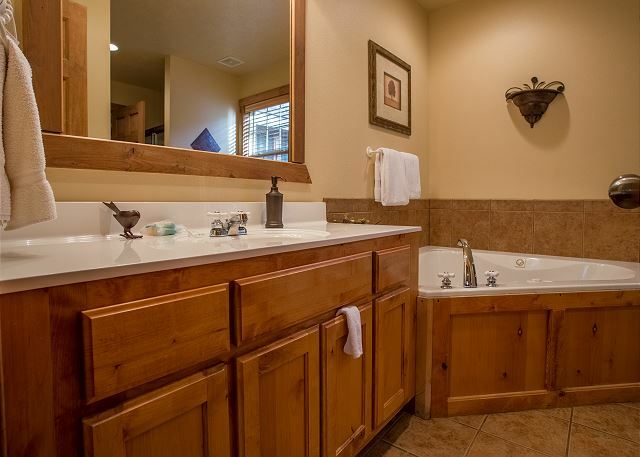 My only complaint was for the ladies in the house, two big jacuzzi tubs, but not enough hot water for full bath and a shower. It was unbelievable! The cabin was even better than I imagined it would be. The decor was perfect, the beds, the baths...everything was fantastic. Very enjoyable experience. Loved the cabin. My grandson's have requested we live there all the time. 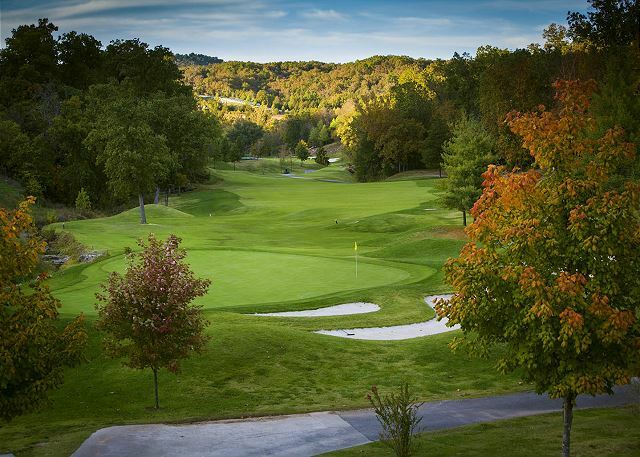 Being from central Illinois, the winding hilly roads were something to get used to but that's nothing against the resort - plenty of laughter when I missed my turn, yet again. We had no issues and spent each evening at the pool which was very nice and clean.It did seem odd that one family could reserve the whole pavilion at the pool, every night for a week. It appeared to be a part of the pool for everyone's use and felt a bit awkward. Great. The stairs leading down to property was on a steep incline that was very hard for my 80 year old father. Good afternoon, Janie. Thank you for your feedback. We're glad you enjoyed the property, and we hope that your father did too, despite the steep climb! 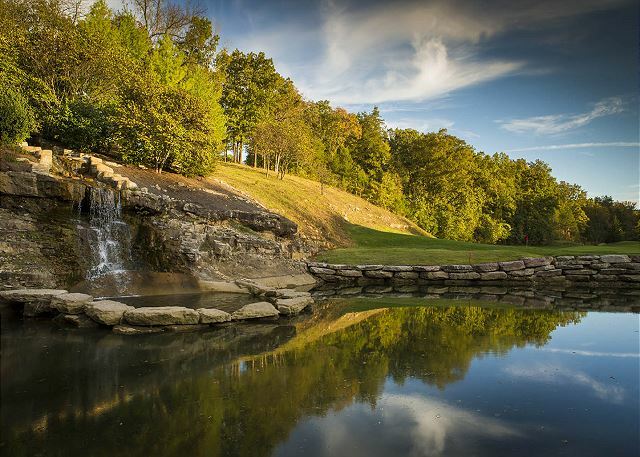 We hope that we can see you again in the future, and next time you want to vacation in Branson, please don't hesitate to call us! 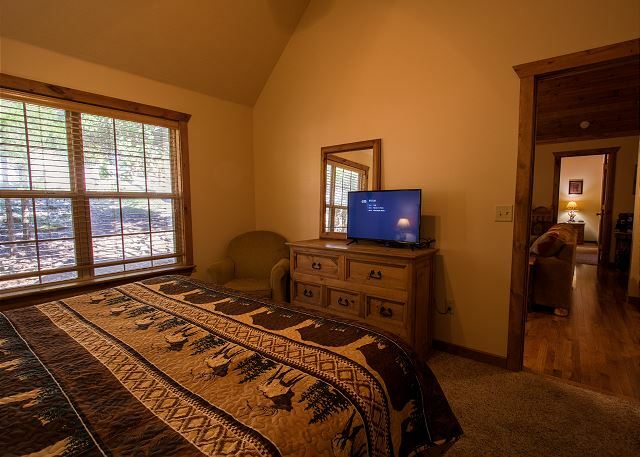 We will happily work with you to find the perfect rental for everyone in your family. Make sure to mention you're a returning guest for a special discount as well! 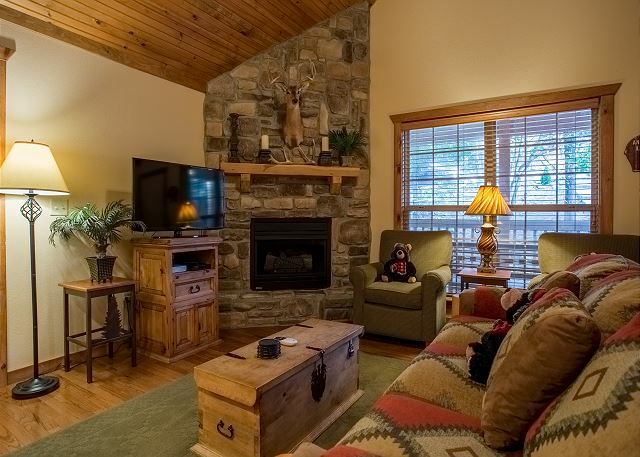 Lazy Pines Lodge was the perfect rental property for our family. 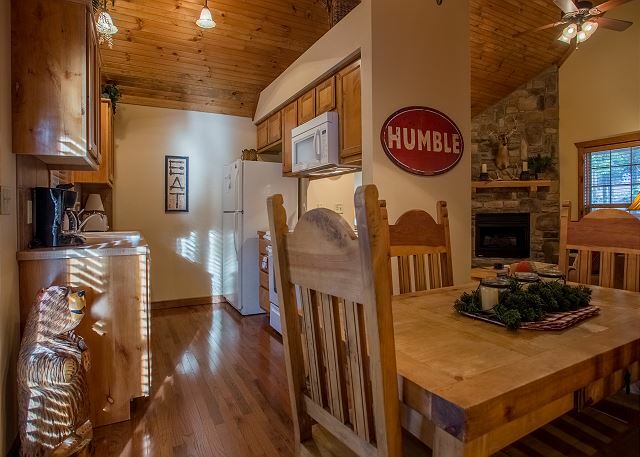 It is a cozy cabin, perfect for the holiday season. It was very clean as well! The location worked well for most of our activities. 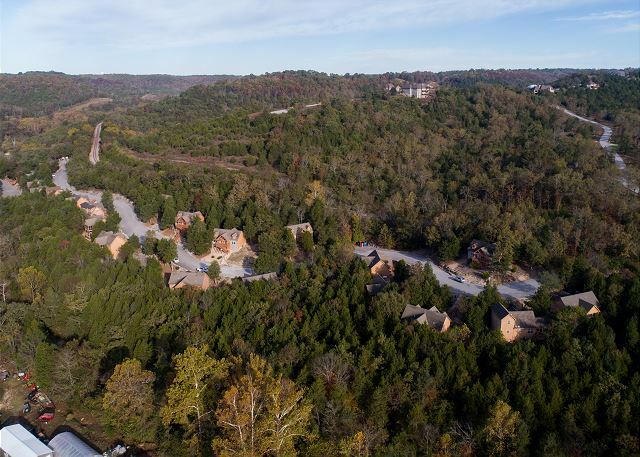 It is right down the road from Silver Dollar City. We will definitely be be back next year. Hoping for warmer weather next time so that our kids can take advantage of the park. Very clean and cozy cabin. 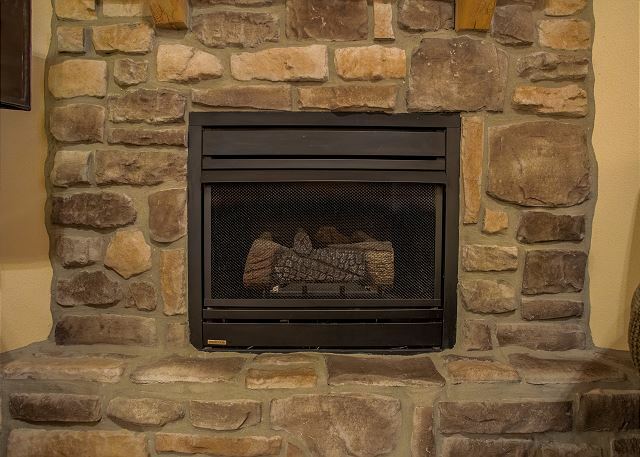 Fireplace was beautiful and it truly felt like a getaway.Beautiful gated community. Felt very safe too. We were extremely satisfied with our stay!!! We will definitely stay again. Our cabin was so nice and clean. Highly recommend! We had a wonderful time. Only one draw back ,getting back to the property. The gate code did not work ,we had to wait for people to let us back in . This is something that needs to be looked at . Staying at the Lazy Pines Lodge is Fantastic! We try to stay at this cabin every Christmas. It is our favorite one because we can bring out two small dogs and just relax. We stayed the week of Christmas and absolutely loved our time there. We brought my mother along and she could not stop saying how much she liked this cabin. It was very clean, cozy and just the right size. 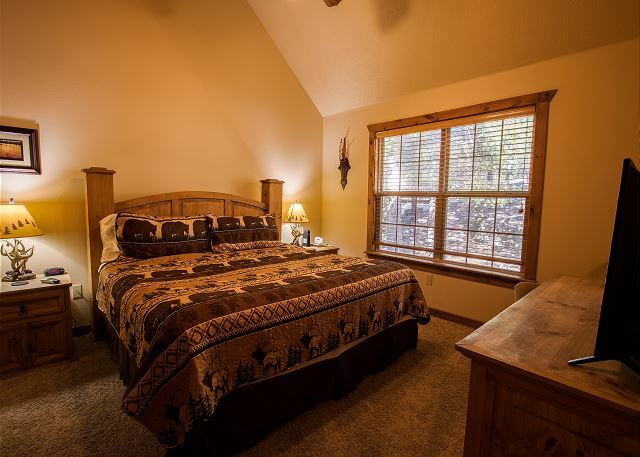 The two master bedrooms and bath were a wonderful treat. 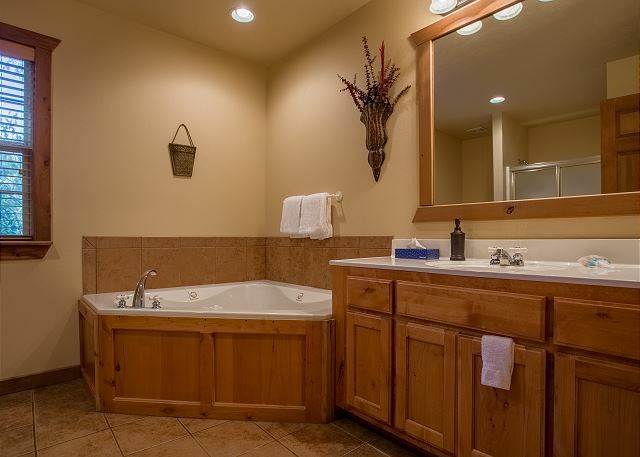 Don't miss out on relaxing in one of the two whirlpool tubs!! 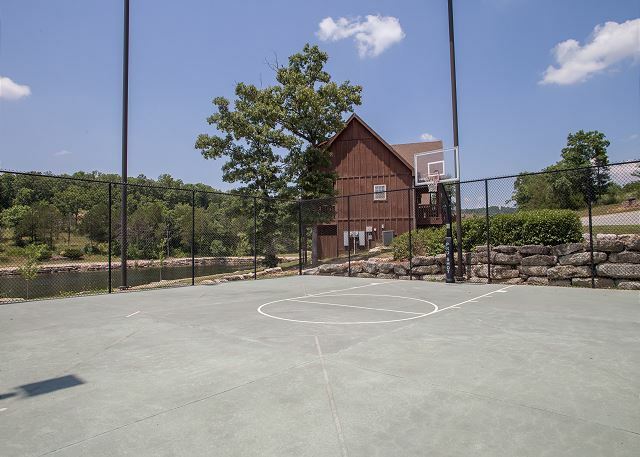 The location of the cabin was great also. We would not hesitate to stay here again. 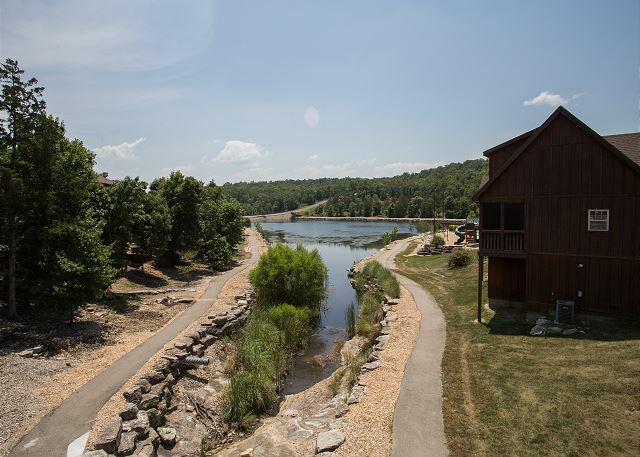 Third Time to Stonebridge - Best Cabin Yet! Great little cabin in the woods, peaceful and quiet, we loved that! 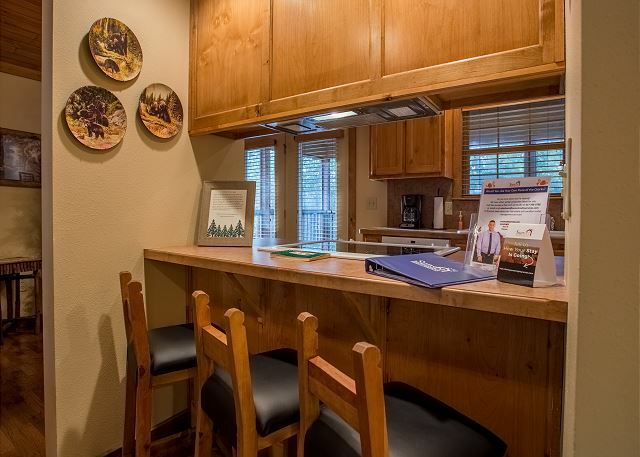 Great all the way around, clearly the owners care about the place and keep it well maintained. It's a great setting. The only reason I wouldn't give it 5 stars on cleanliness is that it seemed the cleaning company could have done a bit more in depth cleaning - but overall the cabin was clean and quite acceptable. We would stay here again! Sunset Rentals very easy to make arrangements with. Enjoyed the stay and time at the cabin. Overall, we loved the house! 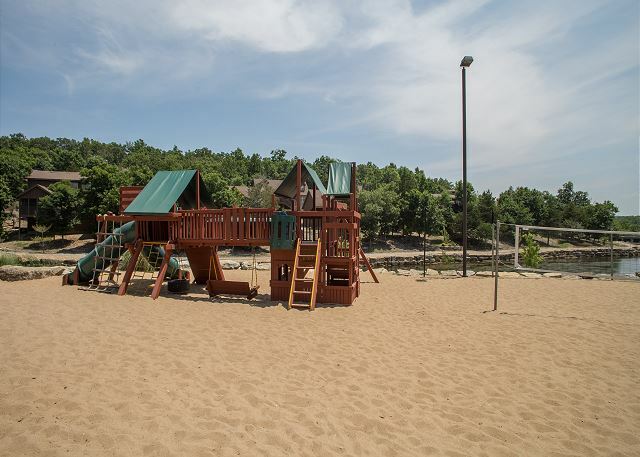 It was in a great location, close to Silver Dollar City and the strip. The house was pretty clean and comfortable. The blankets on the bed left a little something to be desired, but ended up being ok. We had a great time! Tha cabin was clean and very nice. I was surprised how large the resort property was. 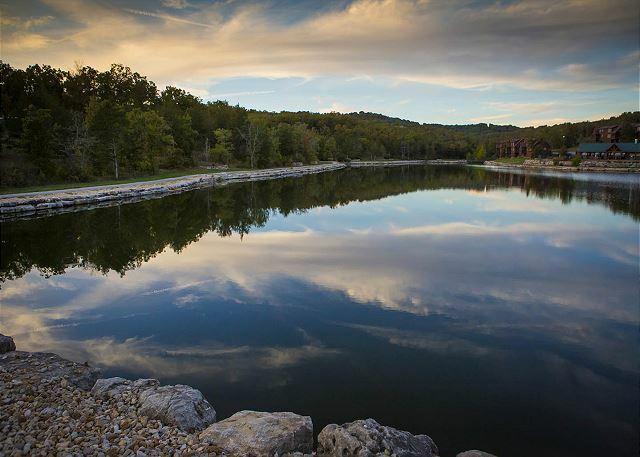 It is close enough to into Branson to do things, but far enough away to be peaceful and relaxing. It was a great getaway for my family. Wonderful place to stay. Clean, comfortable and private. We enjoyed the full kitchen and covered, screen in deck. Bedrooms were spacious and clean. We were delighted to find the lodge very clean and the fridge running and cold. A small leak in the plumbing underneath the house had created some wet carpeting in one of the bedrooms, but maintenance contacted a plumber and remedied the situation as soon as possible. 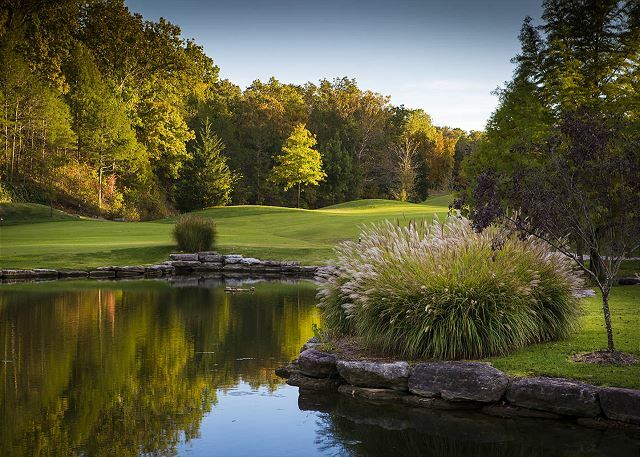 The setting is beautiful and tranquil. 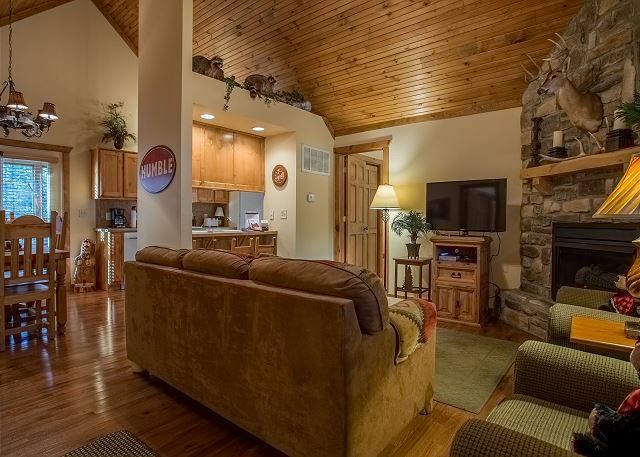 I especially appreciate that pets are welcome in this beautiful lodge. Very clean and loved bringing our pet with us! the unit was very clean and we loved the screened in porch! Thank you for not forcing us to crate our dog....she gets very stressed when she is crated. Great place to stay. Even though there is a railroad within 300 yards of the property, we never heard a train. Awesome Family Vacation in Branson! We absolutely loved the cabin and amenities! The cabin was nice and clean with all the comforts of home. 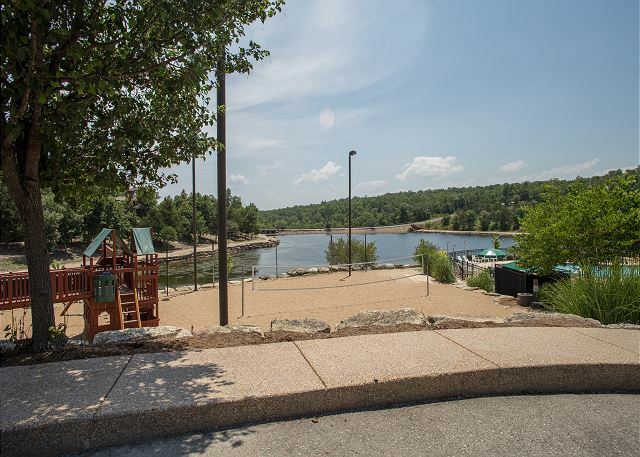 Stonebridge is a nice quiet place to stay in Branson away from the strip. Our daughter left her wedding ring and the staff were so kind to meet her to return it. We will definitely stay here again! Excellent support by Sunset Rentals. The home met all expectations and I would highly recommend rentals in Stonebridge. Very satisfied and will come back soon!!!! Great memories of this cabin and vacation! 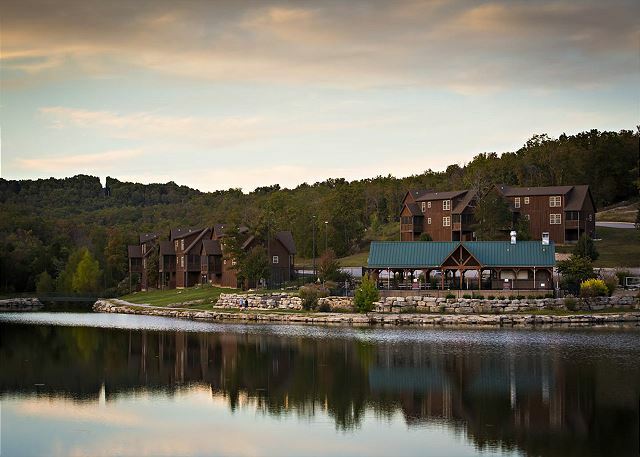 I have stayed in this Lodge(#37) three times.Each time very pleased, the location was so convenient,downtown Branson,Dogwood Canyon,a short drive to Springfield to take in the experience of Bass Pro and could not pass up Big Cedar Lodge for lunch at Devils Pool . 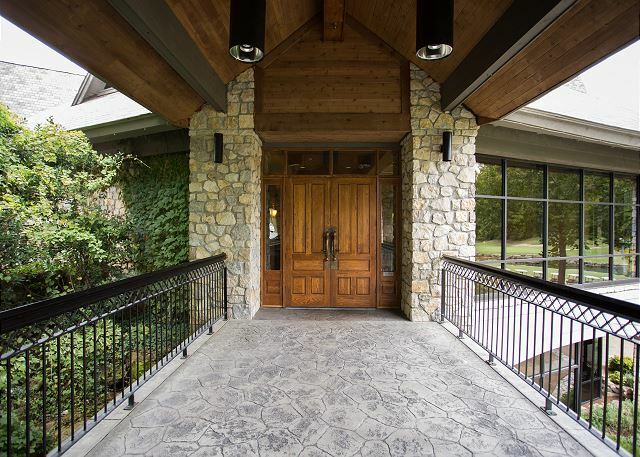 My only suggestion , the walk way to the Lodge needs more lighting. Would highly recommend .It's a "come back " place. Thank you for the review, Faye. 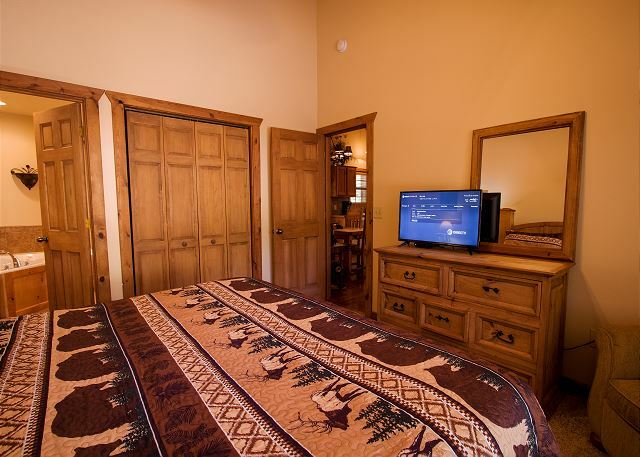 We are glad that you enjoy this wonderful lodge and come back to stay with us often. We will pass your suggestion about the lighting on the walk-way along to the owner of the cabin. If subdivision restrictions do not prohibit installing these lights, I'm sure they will be agreeable. We're glad to see you back again, Lisa, and we're glad you enjoyed your stay. Come back again soon! 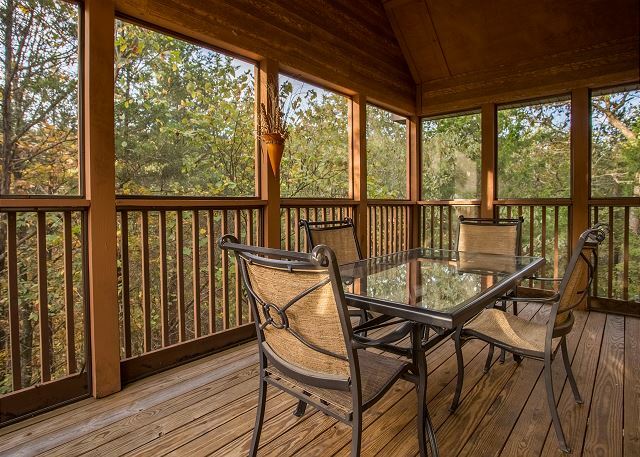 Enjoyed the screened in porch. Thank you for your review, Mary. 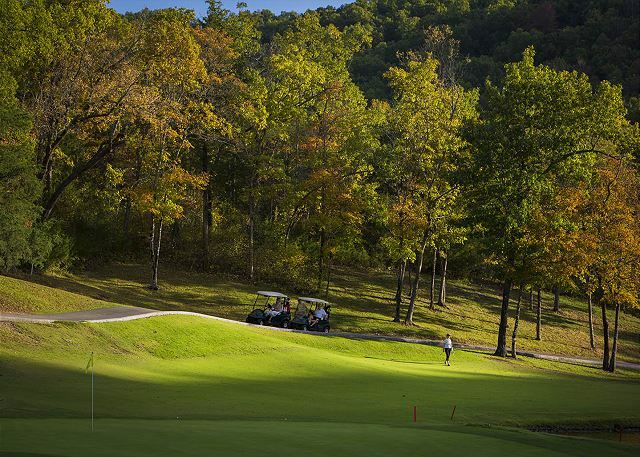 We are glad you enjoyed your stay and hope to see you back in Branson soon! Only item that needs to be addressed is the coffee pot...slow (one hour/brew) and the carafe appreas to be cracked. Thank you for bringing the coffee pot to our attention, we will get this taken care of.